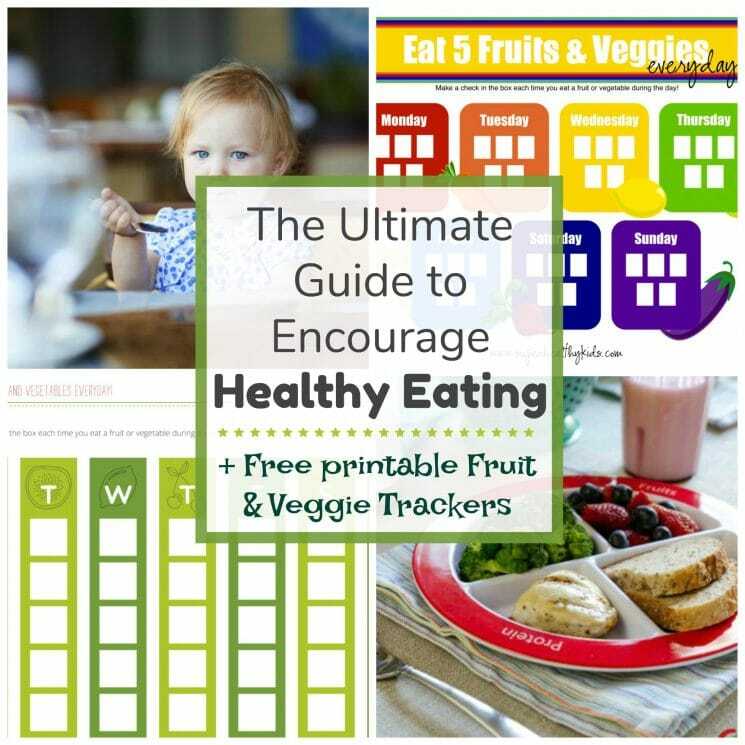 The best guide to encourage healthy eating for kids and parents! There are many reasons people give us for not beginning on the path to healthy eating. Everyone wants to eat healthy. Everyone wants their kids to love eating healthy food. But sometimes, we just need the encouragement and motivation to make it happen,and make it happen consistently. It’s easy to find an infinite number of roadblocks and excuses standing in our way. The energy and the determination to make lasting change takes work. 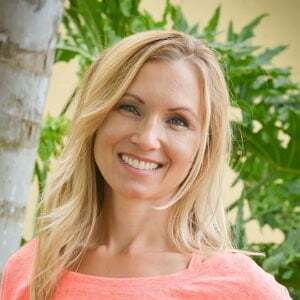 It is our mission to motivate, inspire, energize, and encourage you at Super Healthy Kids, but we also want to give you the tools to do this on your own, with your own families. To be encouraged to eat healthier food, you should first know what we healthy eating consists of. Then, we can start with the small, first steps that will be easy to implement and have the least amount of resistance. Small and simple steps will not only be encouraging, but lead to lasting change as you see results and master new habits. One of the reasons people share for not starting on a health journey is they simply do not have the time to “figure it all out”. It becomes too overwhelming and those ideas of starting healthy habits eventually become a thing of the past. We are here to tell you, it doesn’t have to be complicated! We not only want you to succeed, but we’re confident you can. So in that effort, here are some guidelines to help keep you on that road to a healthier family lifestyle. Plan ahead! Even though we can figure out the meals, give you recipes, help with shopping lists and provide other tools (like our app, Prepear) to make it easy to plan head, you still need to do some personal review. 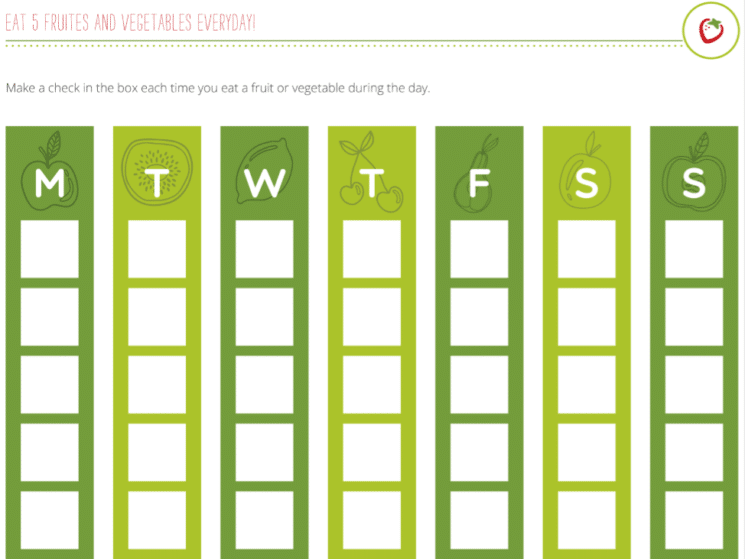 Review your calendar and obligations for the week, and select which meals are going to fit in best with your schedule. If you need a crockpot day, a freezer meal, and a no cook salad, put those meals in your calendar to make them happen like you would an appointment. It can be very encouraging to see and anticipate a meal you are looking forward to on your calendar. Delegate! Give each family member a specific responsibility. It can be as simple as checking off a shopping list while you grab the ingredients in the supermarket or even reading you the recipe while you prep and cook. Remember, even at a young age of 2 & 3, children love to help out, so don’t leave anyone out! Don’t forget your spouse and any other family members who reside with you, this is a family effort and everyone needs to be involved to make it a success. It’s a process! -not an overnight miracle. 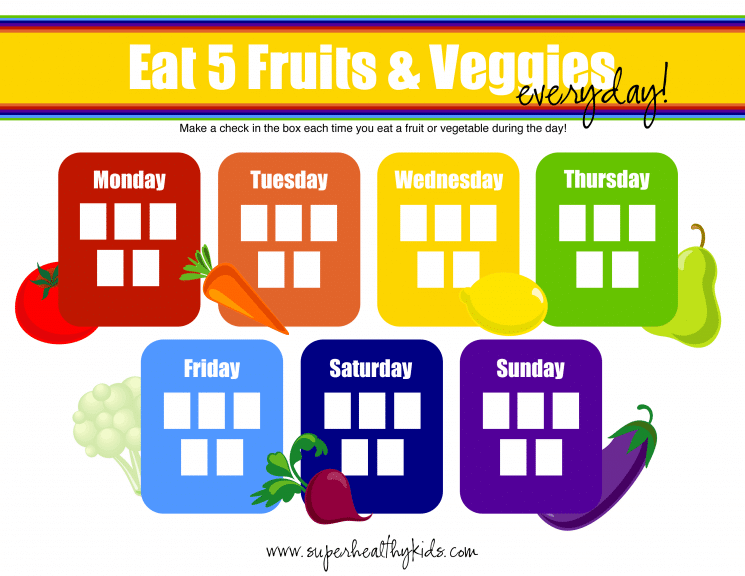 It is most beneficial to begin gradually by changing one meal a day (check out our healthy plates for making one meal half fruits and veggies), or even as simple as one meal a week (think Meatless Mondays for example). Stick with the familiar! Your family likely has tastes and preferences unique to you. Begin with your favorite fruits and vegetables and build meals around those. Expand your tastes gradually swapping out one food or dish at a time. Keep the good fat! Yes, of course, we need our healthy fats for many health reasons but it is also necessary to give our belly’s the feeling of satiety! This actually contributes to diet adherence. So when our recipes call for olive oil, avocado, and nuts, please try not to omit them because we would not include them in the mix if it were not necessary. Still hungry? Yes, most people who are not used to eating healthy foods, may feel deprived or just plain hungry. Eating more fiber rich foods first, will help with this. Sometimes it is a mind game, too. So get your belly and mind distracted by enjoying the family dinner table conversation. You will truly thank us for that one, knowing you are not only healthier physically, but your family connection will be too! Pat yourself on the back! Just by being in the Super Healthy Kids community says a lot about you and your family! The benefits will persist for many years to come! How much should kids be eating? When many parents come to us trying to encourage their kids to eat healthier, they also want to know how much their kids should be eating. It’s very easy to overeat without realizing it when you are eating processed, high sugar, high salt, junk foods. However, the more whole, clean, natural food a child can be served, the stronger her sense of hunger and fullness can be felt. So, the first answer to this question in regards to encouraging healthy eating, is to encourage eating whole foods , and only then can a child regulate the amount they should eat. An average size child, ages 4-12 actually need about the same amount of calories as an adult, between 1200-1600 calories. However, kids are also growing at different rates, and sometimes they’ll need more food than others. After you teach them first about the quality of food they are eating, the only thing left about the quantity of food is to teach them about balanced eating. When my kids want seconds or thirds, they are welcome to have them. We don’t believe in restricting them, as they are better at listening to their bodies, and sometimes are truly hungry. However, we do require that they eat their second helpings in proportion with all the food groups. In order to have a second helping of grains and proteins, they are also required to take seconds of their vegetables or fruit. The Choose MyPlate graphic illustrates this perfectly. 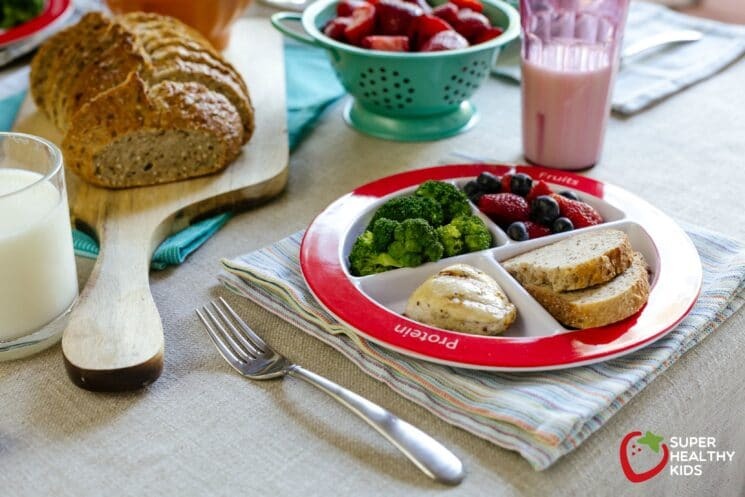 So, the challenge – Make half your plate fruits and vegetables, and kids will get all the nutrients they need without going overboard on calories! It’s one thing to get our children to eat fresh, nutrient dense foods, but it’s a whole new ball game to get that food in front of them. 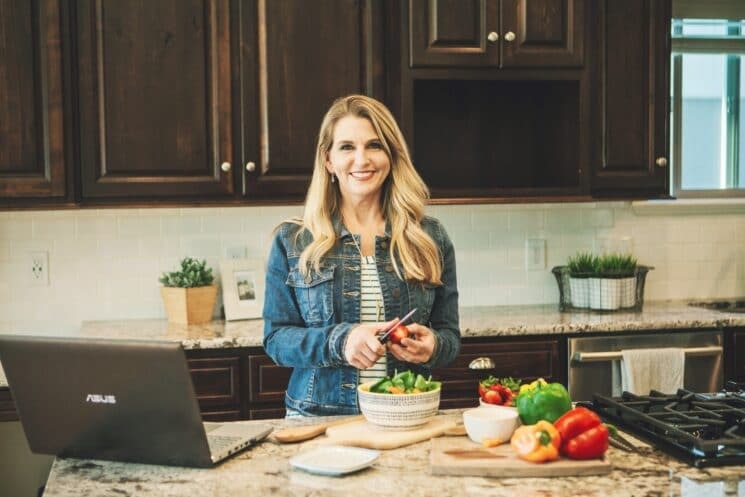 On even our best planned weeks of placing everything on the calendar, and utilizing the Super Healthy Kids meal plans, there are going to be days when there is truly not enough time. • There is nothing wrong with a great lowsugar, high-fiber cereal for breakfast. Most kids can “make” this themselves. • Give nature’s “fast-food” priority over all healthy snacks; such as bananas, apples and grapes. Place them on the counter in a beautiful basket and it’s not only a quick snack, but an appealing way to add more color to your family’s plate. • Make a homemade granola mix at the beginning of the week. Split it up and place individual serving sizes into your preferred storage container. • Precut veggies and put them in zip lock When you are short on time Another idea, and a personal favorite of mine is breakfast for dinner! Or, what about lunch for dinner? Just because the dictionary says these meals are served at certain times of the day does not mean that you have to follow that rule. Right? Just be sure it’s colorful and each meal has a fruit and a vegetable! 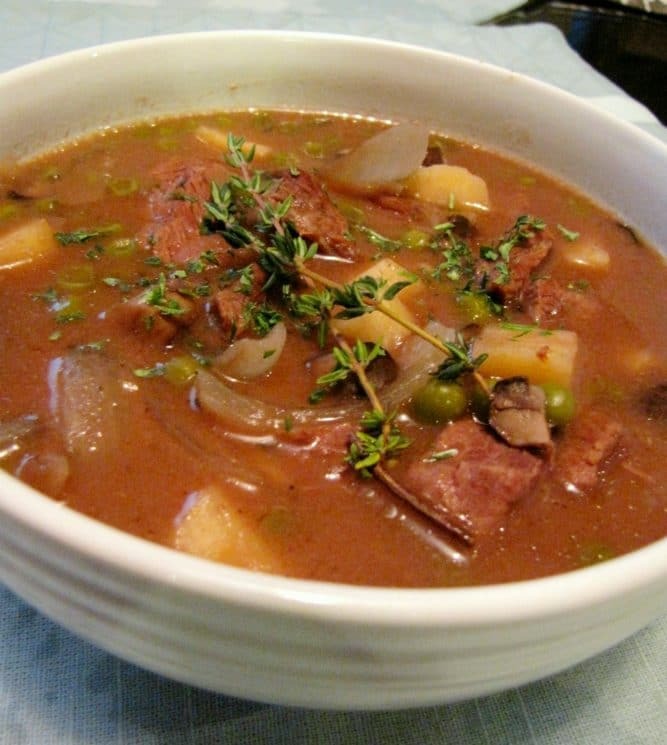 • Use and abuse that crock pot! It’s amazing what can be thrown in there at the beginning of the day and what it will turn out to be at dinner time. • Keep your favorite frozen vegetables and blends in the freezer at all times. They can be steaming on the stove while you go through homework or make last minute phone calls. 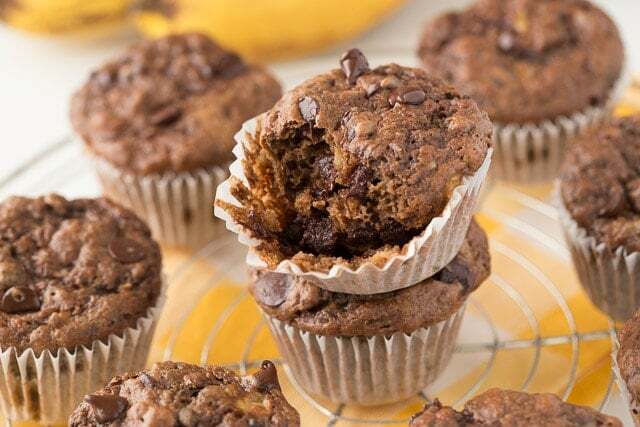 • Cook more of your favorite proteins when a recipe calls for them. Chicken for instance, can always be chopped up and thrown in with those steamed veggies. Grab an apple too, and its dinner in a pinch! 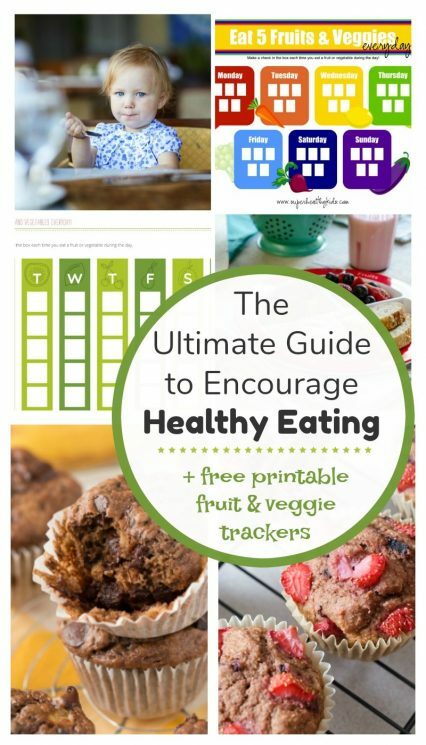 How do I encourage my child to eat healthy? Now that you know WHAT you are going to feed your kids, many of you are asking, OK, now how do we encourage our family to eat this food? We believe that every family and every child is different. What worked for my kids, may not work for yours. 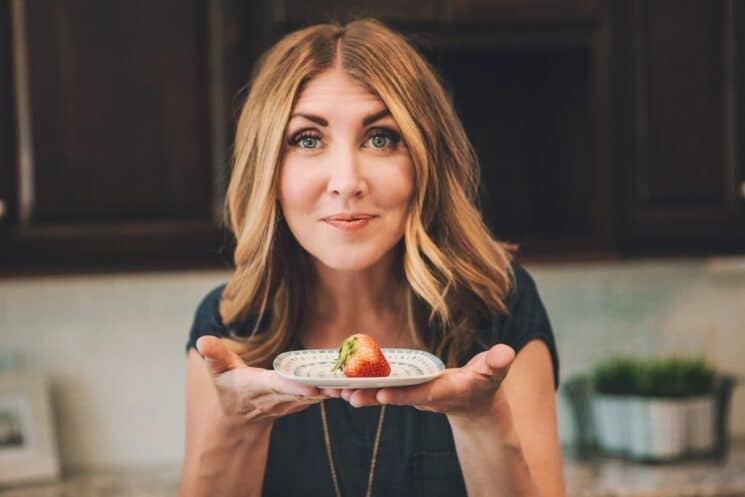 That’s why we decided to have three of us at Super Healthy Kids (moms and nutritionists) answer the picky eater question for you with what works for us, and hopefully you can find some nuggets of wisdom that will help with your kids! For many parents, a child who is a picky eater can cause a lot of anxiety. 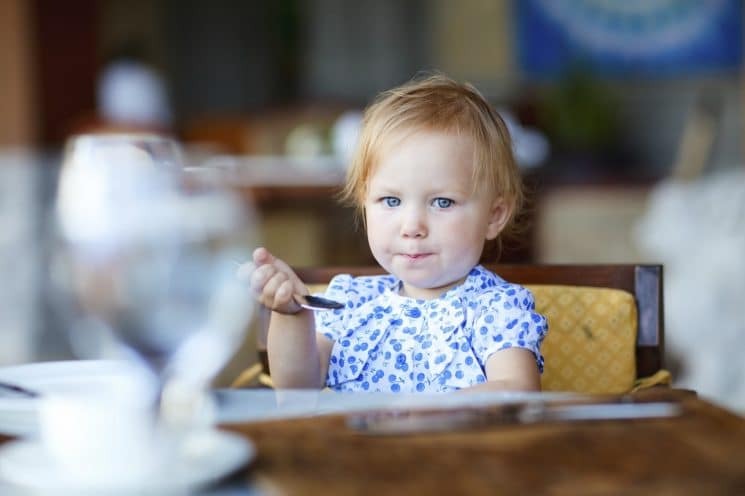 The first thing to realize is that being a picky eater is a normal part of a child’s development. 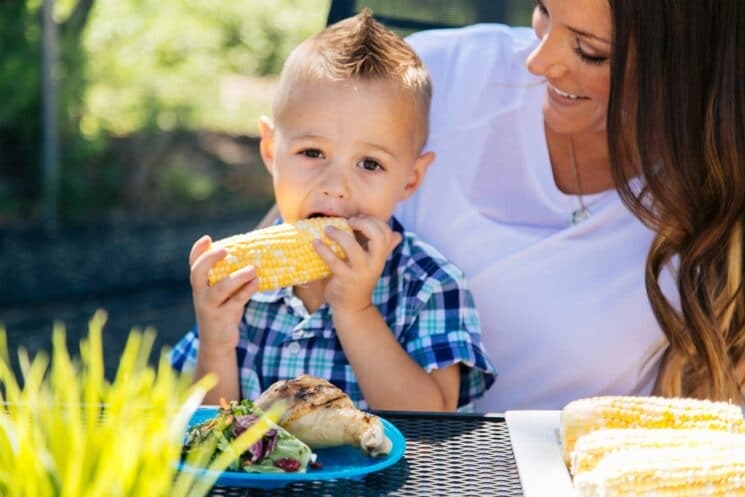 It is common for parents to be concerned about whether their child is eating enough, or eating enough of the right types of foods. If your child is growing and is active, then there is probably very little to worry about. 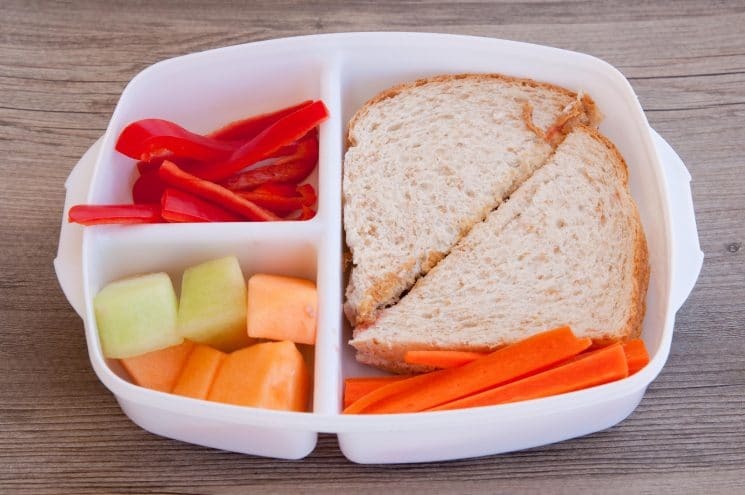 Even if your child does not eat particularly well on one day, keep in account all of the days during the rest of the week that he/she ate well. Letting your child live up to their responsibility can be uncomfortable for parents. Forcing a child to eat less or more because of various concerns can create a negative experience for your child with food. Children learn heavily by example. That is why we feel family meals are critically important to a child’s sense of security and developing a healthy relationship with food. Children need to feel in control of their eating. When the environment is supportive and friendly, and children have a sense of freedom and reassurance, they will likely eat better and more varieties of food. There are many things that parents can do to teach their children healthy habits and increase the variety of foods they will eat. Start with foods your child readily accepts and grow from there. Don’t let children graze all day. This is true for adults too. It’s easy to lose track of the quantity and quality of food you’re taking in. 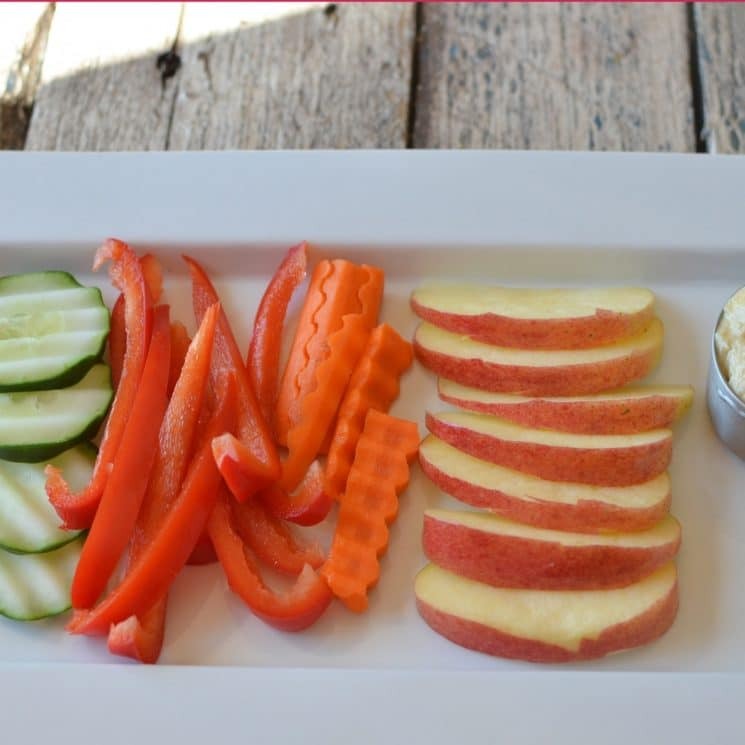 Include a fruit and vegetable at every meal so there is a variety to choose from. Prepare them in different ways to expose your children to different tastes and textures. Give children time and reassurance when trying to introduce new foods. When introducing a child to new food, put it next to an accepted food so children see it. If they just look at it, that’s okay. They may even taste it and take it right back out of their mouth. It’s all part of the process. Don’t give up after a few times of offering different foods. In our experience, acceptance of certain foods can take months to years! Even though it may seem like a battle lost, keep offering those foods. I used to keep a running log on the refrigerator so I knew what I had offered, when and how it was offered. And of course, I noted likes, dislikes, not tried. –nothing fancy, just a plain piece of paper with each child’s name. Always, always, always, as a parent, feed yourself the food you are feeding your child. Ask them what they want to eat. They need to always choose a fruit and veggie. I do this with both kids. And make the emphasis on not only choosing the fruit and veggie, but choosing something different each day. Take them to the store!!! Even if they choose something you have never eaten, that is ok! Great for you!! 🙂 Even if they don’t eat it themselves, that is ok! They took the initiative of choosing something new, that is a step in the right direction. With my kids being older now (they are 19, 17, and 15), I can honestly and authentically say, it just takes time! In fact, for some foods, it took A LOT of time! My oldest son has had vegetables on his plate almost every night for the better part of his life. He didn’t start asking for salad until the last few years. He complained about it from the time he could talk, till he was about 9 years old. Did I ever give in and tell him he never had to eat vegetables again because he complained? Of course not! I left them on his plate every single night and never gave up. The key to our success is that over time, your kids will understand that healthy eating is a part of life. It is said that by the time they are 10 years old, they will likely have the dietary habits that will carry them into their adult life. So, don’t give up, be patient! Its worth it to stick with the goal of them enjoying healthy food! One overlooked concept for parents is that there are so many ways to offer fruits and veggies. Frozen, blended, dried, canned, juiced, smoothies, raw, roasted, steamed, etc! So many kids have texture issues! My daughter won’t eat applesauce, but loves apples (or at least she used to). But the trick is to offer fruits and veggies in their various forms because it might not be that they don’t like broccoli- maybe they just don’t like it steamed! Start small (start where they can be successful): If your child will only eat meatballs and toast, then start with a meal of just meatballs and toast. Build on your success by gradually expanding: Take that meal of meatballs and toast, and then in the subsequent days, switch it up slightly — using parmesan toast instead, next changing the sauce on the meatballs, next adding spaghetti, next changing the pasta…etc. Add in easy new foods you know he’ll eat, and then have something new (but that he’d probably like) on his plate. I just ask him to try a bite or two… and that’s it. The next night, you can have him try MORE bites of that new food…always slowly building. . POSITIVELY reinforce: This is huge. Give lots of praise and positive attention for good eating, and not much attention or neutral attention for the negative eating or tantrums. Fruit an Veggie Tracking challenge! What advice do you have for encouraging healthy eating?